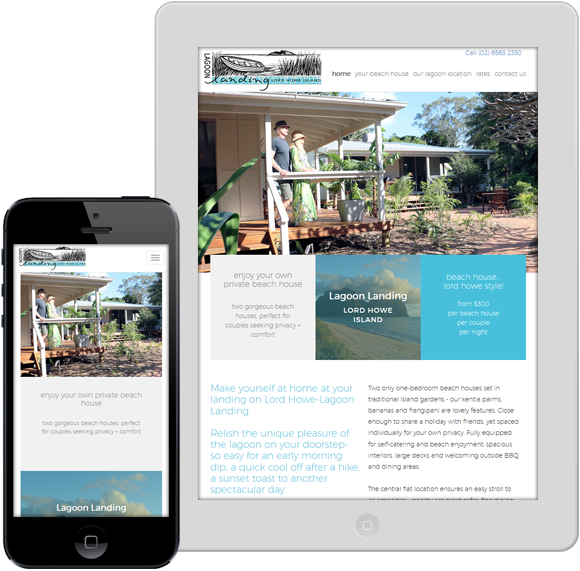 Lord Howe Island Website Design. 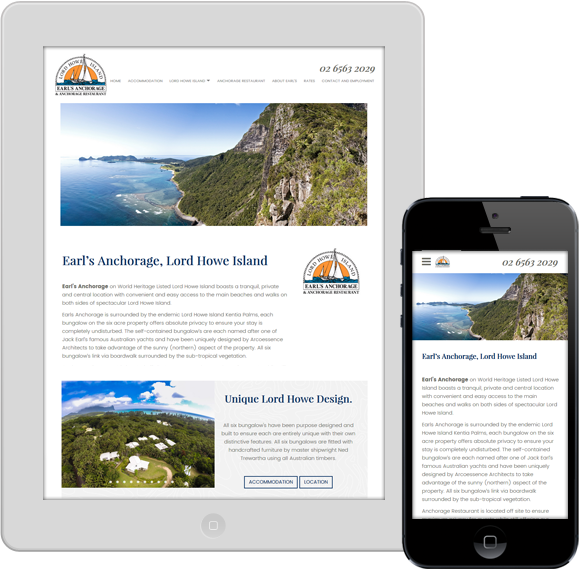 We design websites for Lord Howe Island. Word of mouth still matters. Any good web design agency should receive word of mouth recommendations and it's certainly been a big part of the growth of our business. It shows that we did a good job in the past. But on Lord Howe Island, it's actually possible to see that we're continually recommended from one client to the next. Lord Howe Island is located about 600km from mainland Australia and has about 20 accommodation properties on the island (that between them can sleep up to 400 people at any one time). 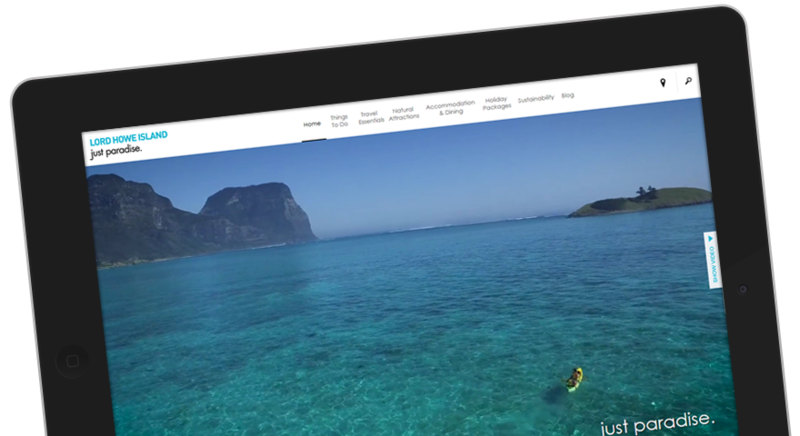 Of that, we have built 8 Lord Howe Island websites, with some returning for new websites. We think that says a lot. Our LHI clients appreciate our knowlegable, reliable, friendly and down-to-earth approach. They recommend us to others on the island because we understand the unique challenges of designing websites for the travel industry in general, and the island in particular. And for that, we're thankful. 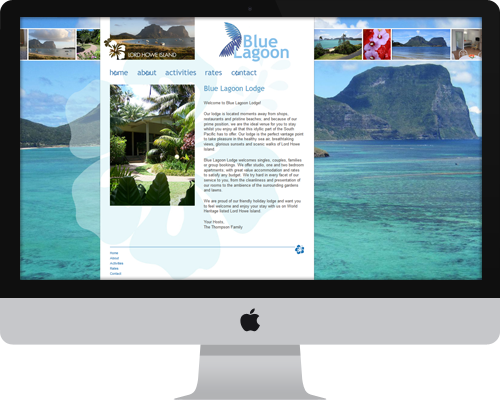 Capella Lodge (part of Baillie Lodges) was the first Lord Howe Island website that we built. They introduced us to the pure paradise of this beautiful island (thank you!). 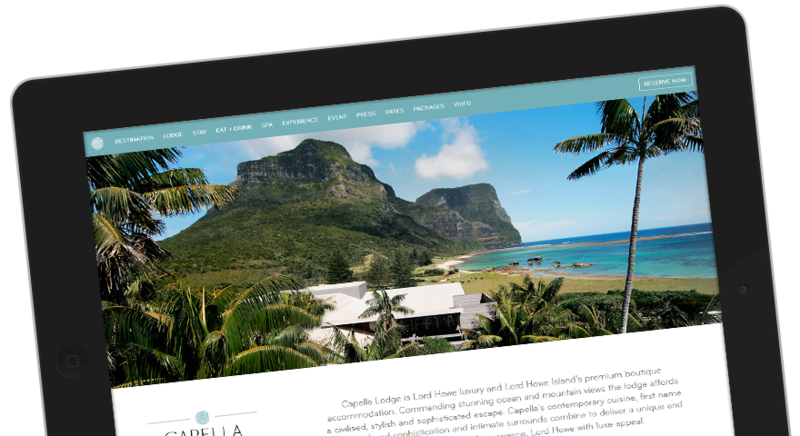 The Capella Lodge website has since been rebuilt a couple of times over the last 10 years to what we see today - representing the luxe experience waiting for you on Lord Howe. Close to everything and with enough room for everyone, Blue Lagoon Lodge will make you and your family feel welcome on Lord Howe Island. Ebbtide's 5 self contained apartments in a secluded location on Lord Howe Island, tucked away from the main road makes it an ideal choice for your paradise holiday. Admiralty Apartments is Lord Howe Island's newest luxury accommodation offering two spacious private self-contained apartments. 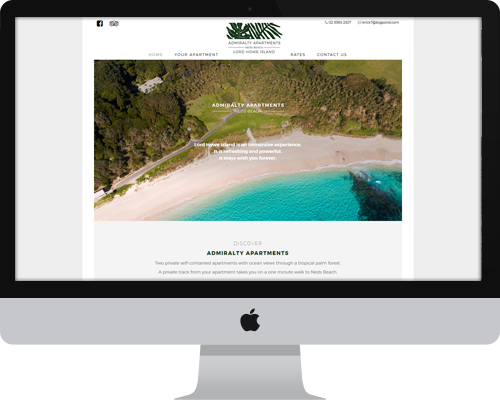 We've had a long relationship with the Lord Howe Island Tourism Association - we first started working on the Association's website in 2008. The website itself does a great job showing off this wonderful paradise - the video on the homepage is worth a thousand words! Lagoon Landing is the second accommodation project for Lisa and Rod (owners of the luxury Bowker Beach House - see below) and the second website design we've done for them. This property can sleep two couples and is just across from Lord Howe's famous lagoon beach. 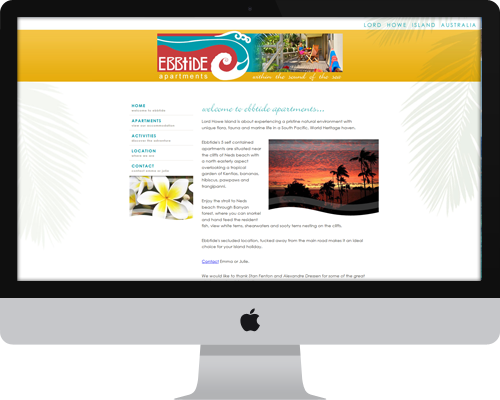 Earl's Anchorage is one of our newest website designs for Lord Howe Island. Earls Anchorage is a nautical village of six bungalows all linked via a boardwalk that meanders throughout the six-acre property. All six bungalow's have been purpose designed with their own distinctive features.